Mr. Carlos David Cuñado gathered more than seven hundred people in a very emotional ceremony. 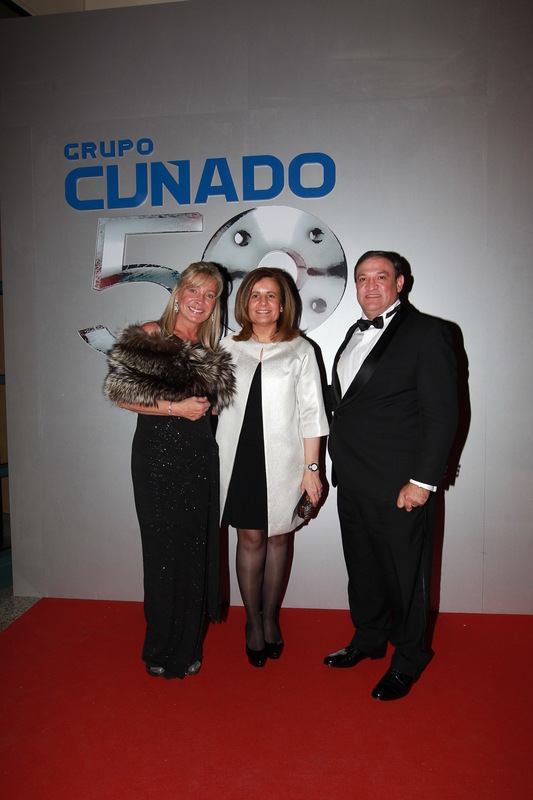 Grupo Cuñado was honored during the celebration of its 50th anniversary, welcoming the Minister of Employment and Social Security, Ms. Fatima Báñez. The current president had some touching words to his father and company founder, Mr. Maximum Cuñado and his twenty-one year old daughter Vivian. As a continuation of the work of her father and grandfather, the third generation has already been incorporated into the family business. After dinner the attendants including familiar faces from business, politics, entertainment, customers and suppliers were able to enjoy a very emotional evening that lasted into the early morning hours.